Thinking of sealing up your Garage or Shed? Turning your garage into a man-cave? Protect your area from weather, dust, leaves and debris. 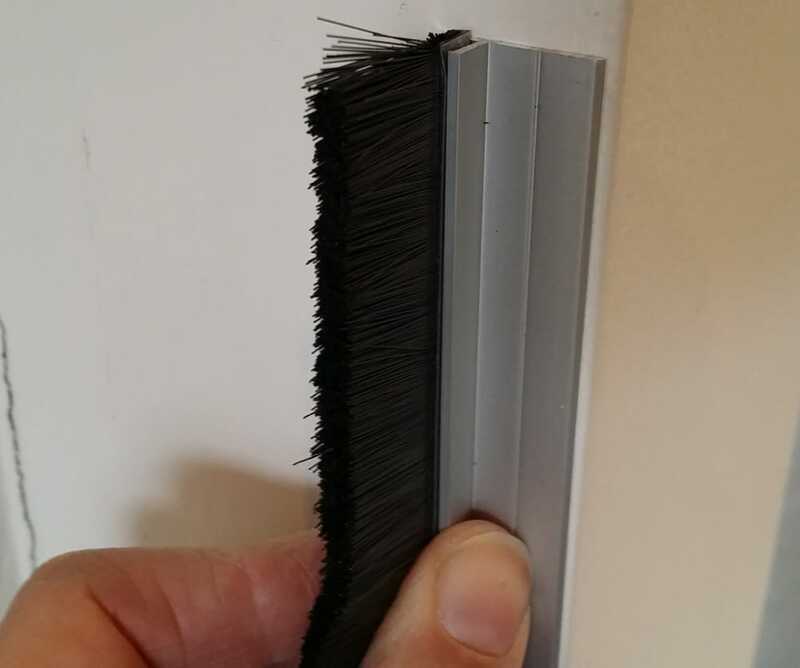 Our Garage Door Seals come in a range of brush sizes and holders so we can tailor a solution for your specific need. 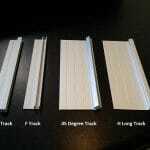 Not sure which is the best way to install your Garage Door Seals? 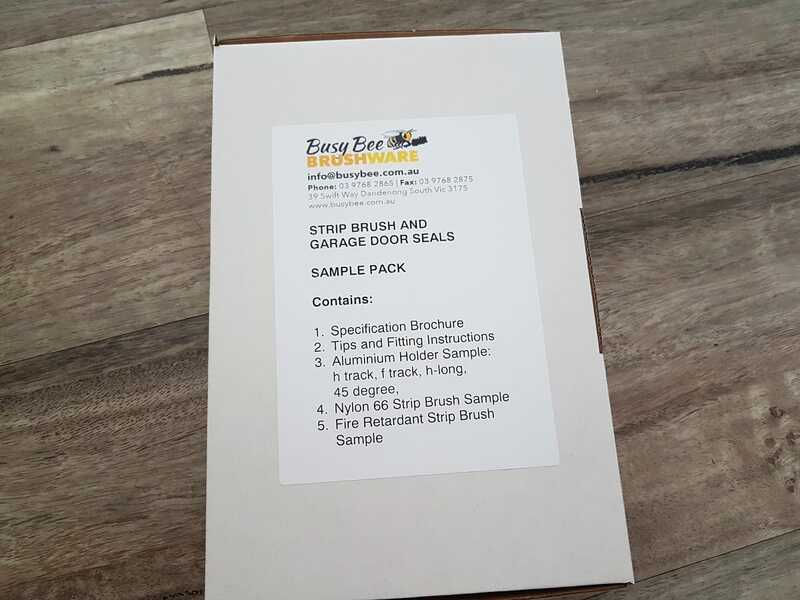 We have put together a Sample Pack of our Garage Door Seals so you can experiment with which bristle size and holder will work for your installation. 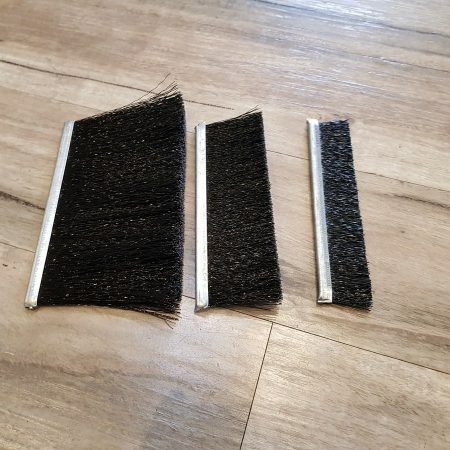 For the cost of the postage, you can see for yourself how effective our brush system is, and to a small extent “try before your buy”. Easy to install as a DIY project, or you can contact your local garage door service company or handyman contractor to fit for you. 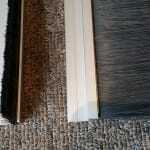 Buy Our Sample Pack, And Receive 10% Off your Strip Brush And Door Seal Order (minimum order $100, excluding freight). Contact us with your dimensions and we custom cut to size. 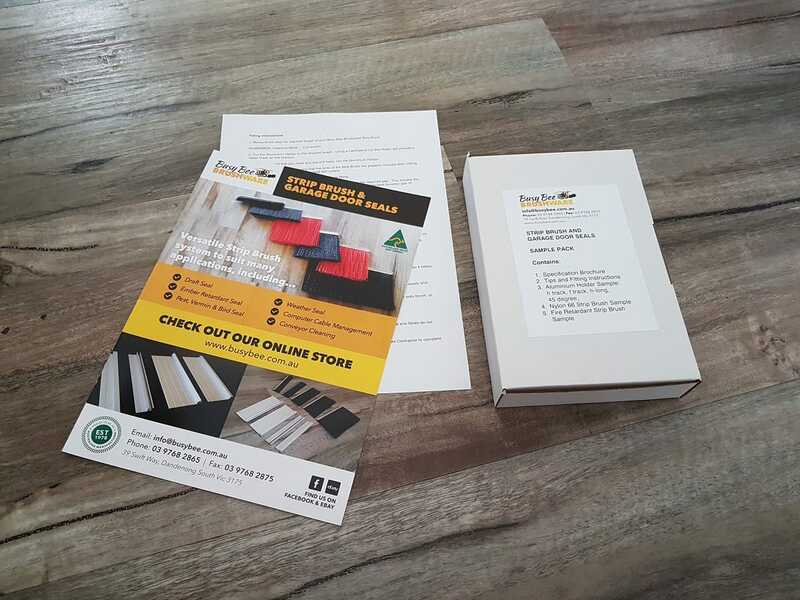 I purchased the sample pack and found it was a great way of being able to test the product in operation before placing my final order. It gave me peace of mind that I was ordering a product that would do the job I wanted it to do. It also enabled me to claim a 10% discount on my final order as well. I have done business with many companies around the world, I find Busy Bee Brushware up with the best of them for correspondence, range and product quality. Best wishes with your projects. Thanks for your vote of confidence, it is much appreciated. The order arrived today. Thank you. 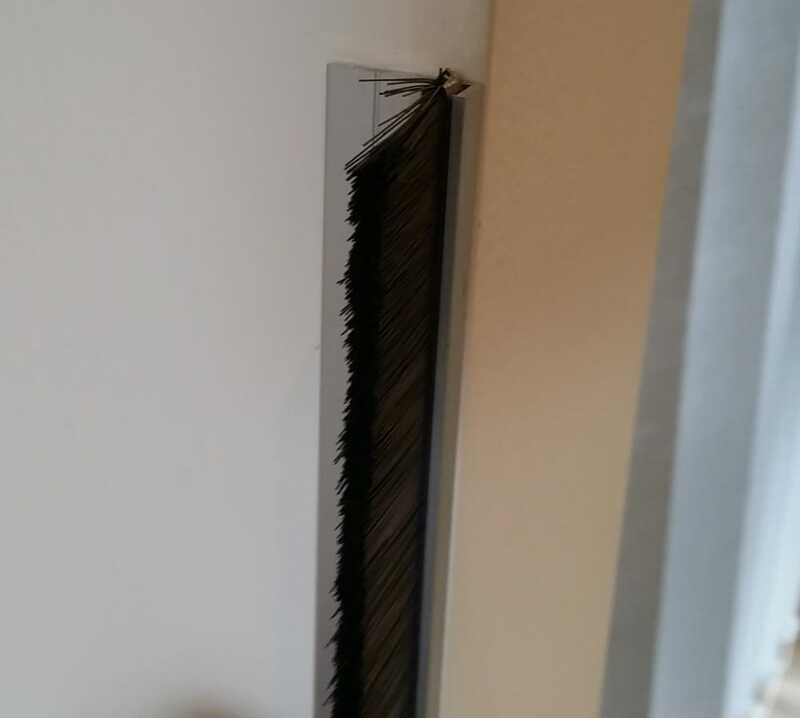 The need for this order was because the previous top strip had too short brush length and kept stalling the B&D motor. The clunk, clunk, clunk as the door operated and with the brush so short there was too much drag. 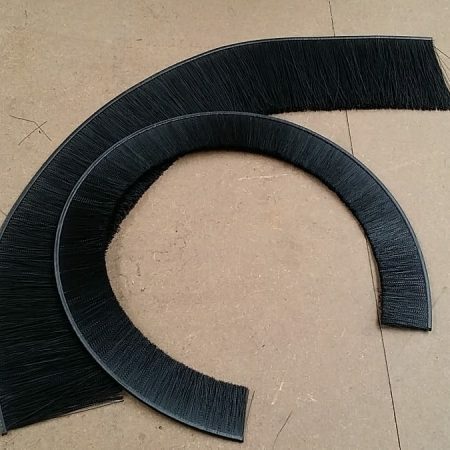 The new order has a longer brush and a 45 degree profile. I am hoping it will work okay. 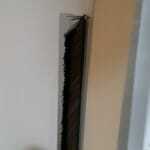 The vertical strip is very good with not much drag and a smooth operation. An important aspect of my roller doors is that the distance from the head wooden frame (lintel) to the door is not even. It is short when the door is closed and a longer distance when the door is up. (or vice versa). 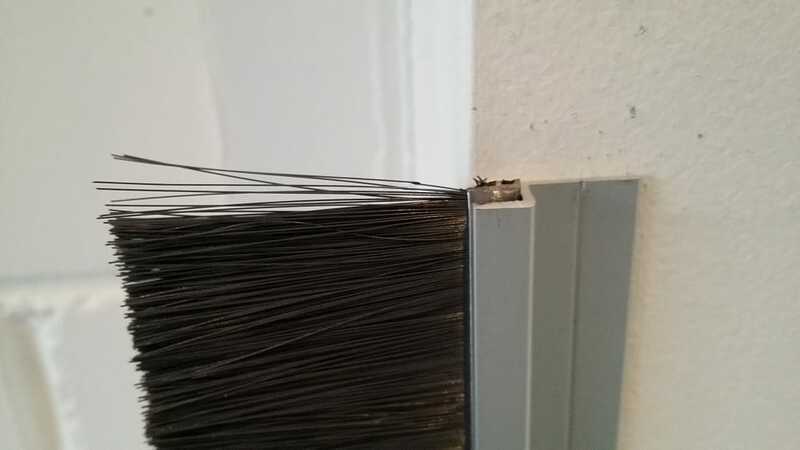 The longer brush should fix this. I will give more feedback later. Thanks for your feedback, our customers have found that purchasing the Sample Pack helps to "try before you buy". 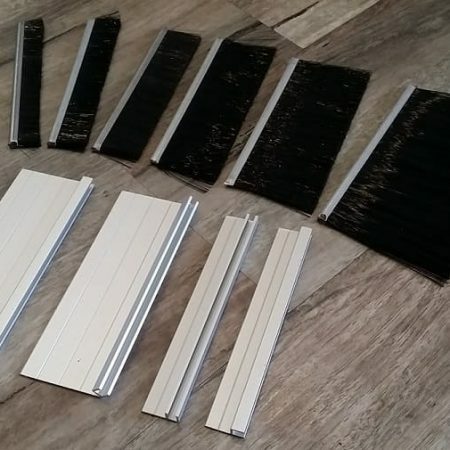 Having installed the vertical brush strips a couple of weeks ago, I have today installed the horizontal brush strip around my two B&D roller doors. 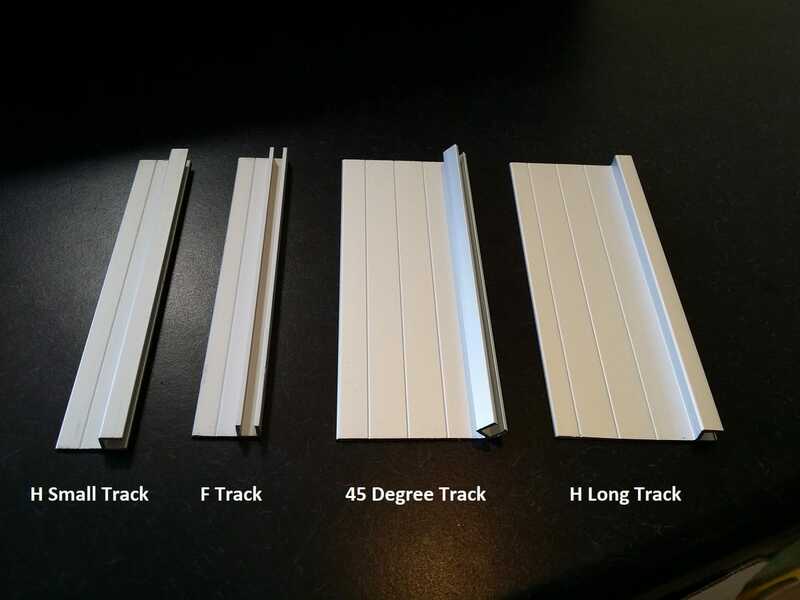 I learned in the process that the 45degrees profile is very suitable to both vertical and horizontal applications where fitting to roller door frames. I used a 50mm brush on the verticals and that size applies little drag on the motorized doors. I chose the longer 75mm brush for the horizontals for there are changing gaps from when the door is down to when it is up. 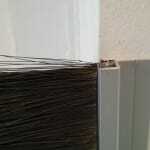 The longer brush gives more scope for choice and it is a softer application. On completion it was pleasing to see that the doors operated without undue drag that may have stalled the motor if the brush was shorter. 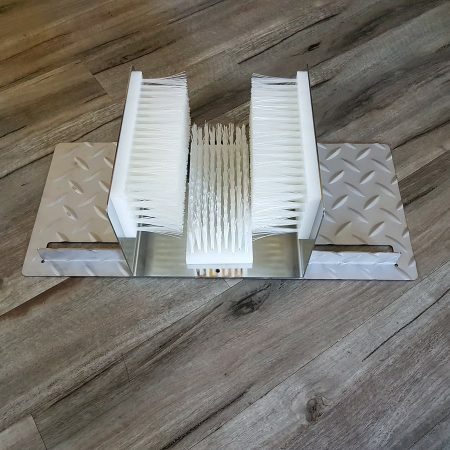 Thank you for providing such a useful product that is expected to solve as issue I have had with dust, dirt and leaves blowing into my garage for over 25 years. 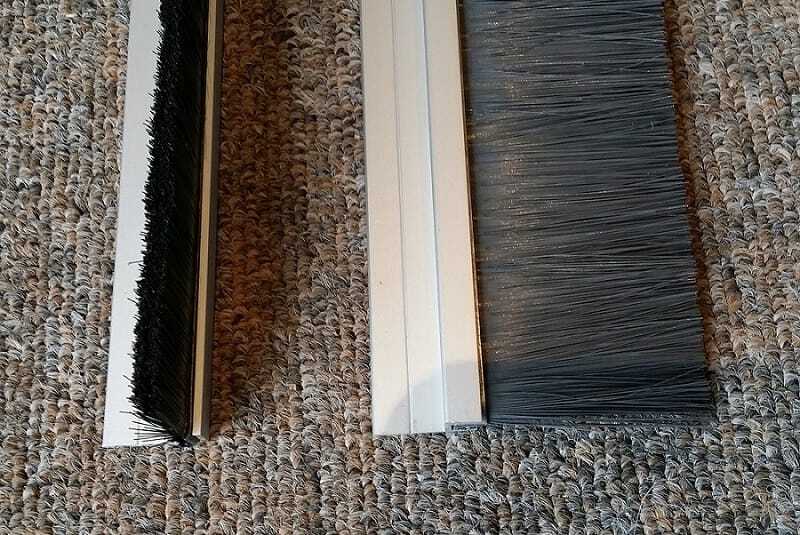 This is great advice for anyone who is looking for the best way to seal up their Roller Door. Thank you for your time on the phone yesterday and today. I must say your trial packs are a fantastic idea, for the small price it was, it was a massive assistance. Have just received the sample pack, and it is exactly what I am looking for. As this is for our next house we are building soon I will not require for about 12 months. When I do need I will be able to use the sample pack to select the correct size. Very handy being able to order a sample, so that I can see what I need! 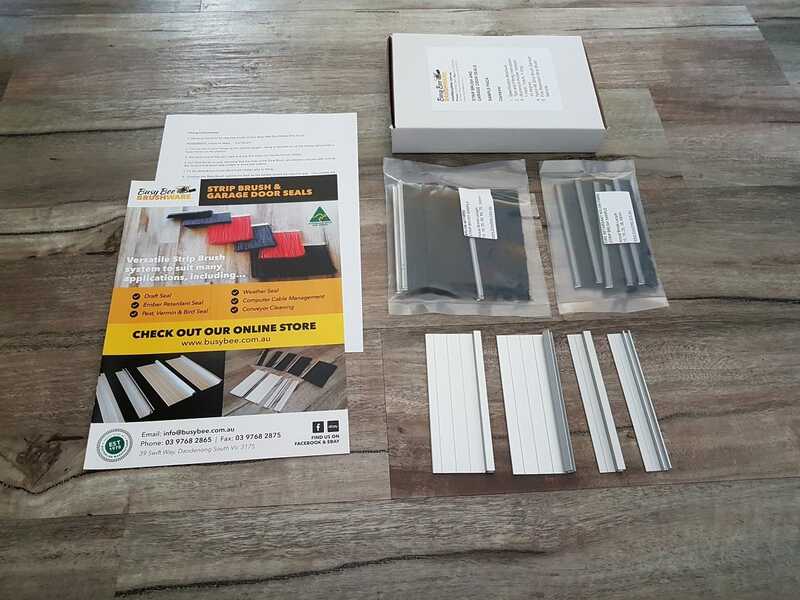 your sample pack arrived today, thank you for the prompt attention to my inquiry. Also, I was very impressed with your communications regarding the order. Great customer service, I was kept well informed. We have decided on the profiles we need, we just have to do some measuring. We will get back to as soon as possible. We live in a small community 45km from our nearest big town, we have had some varying experiences with customer service, both on line and in person. 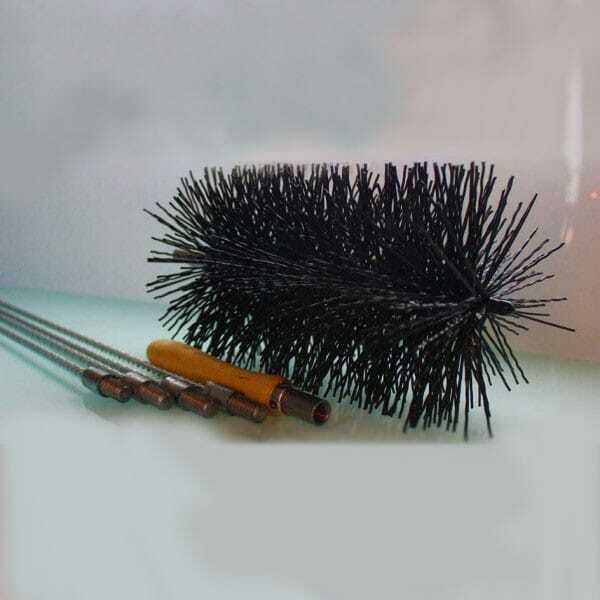 Our experience with Busy Bee Brushware was one of the best we have experienced. Once again, I must thank you for the very high level of customer service, especially as it was over the holiday period. Sadly these days, many companies neglect to attend to their customers properly. This certainly wasn’t the case with Busy bee. Right from the start, everything was done well. Loved the sample pack as it allowed us to easily decide on what product suited us best and the advice received by phone was super helpful. Tracking of our goods was extremely helpful as well. Thanks so much for your feedback, it is really appreciated. We have been offering our Sample Pack product for $1 plus postage for a couple of years, so that our customers can try before they buy. Our customers know exactly what they need to order and have the confidence to know that it is going to work. Plus they get 10% off their Strip Brush purchase.